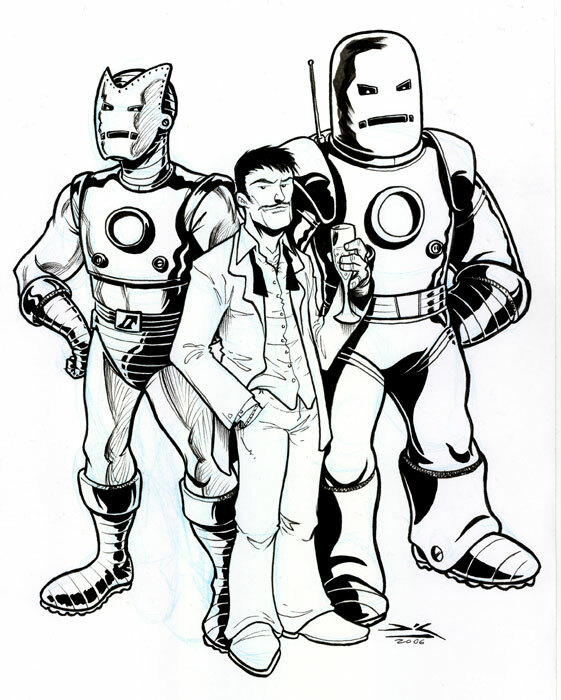 Rich Woodall submitted this very charming drawing of Tony Stark and two of his best Iron Man suits. I love how "playa" Tony looks in this shot. 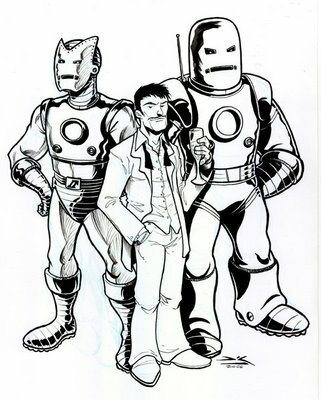 Rich is the talented artist behind Johnny Raygun -- check out the link and see his stuff for yourself! Has for the first time bought the machine. It is necessary to insure. Friends have advised buy car insurance online SAAB. But there it was not pleasant to me. Advise, where it is better to insure new BMW. Oh My God! you guys are such spammers! A double twin poopy-repulsor salute to you automated-spam-bots!